Liberty Lock & Security, Inc. is dedicated to providing exceptional services to all of our customers and the locksmith industry. We are committed to delivering the highest level of professionalism and quality workmanship with a strong emphasis on dependability, drive and integrity. We strive to maintain a long lasting happy relationship with all those we serve. Liberty Lock has been providing expert locksmith and electronic locking systems in the DC Metropolitan area since 1980. Our prompt service and unparalleled cooperation with our customers has enabled us to attain steady growth. We maintain a fleet of fully equipped service vehicles to bring security solutions to your location. 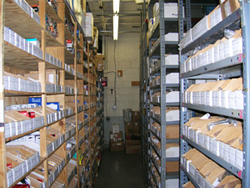 Our computerized dispatch and inventory systems help ensure the finest service in the industry. We maintain a stocked warehouse to support our field service as well as our local showroom where our trained staff is available to assist you Monday-Friday. Your complete satisfaction is our most important goal and is the best way to ensure the continued health and growth of our business! We promise!